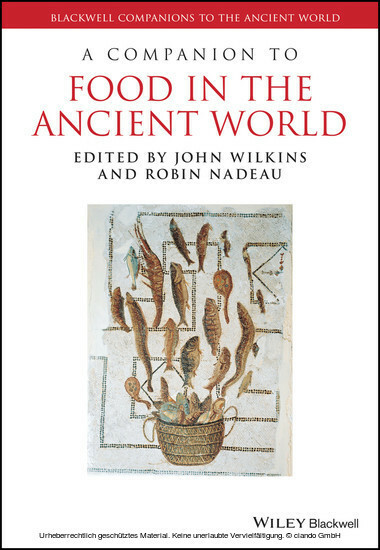 A Companion to Food in the Ancient World presents a comprehensive overview of the cultural aspects relating to the production, preparation, and consumption of food and drink in antiquity. 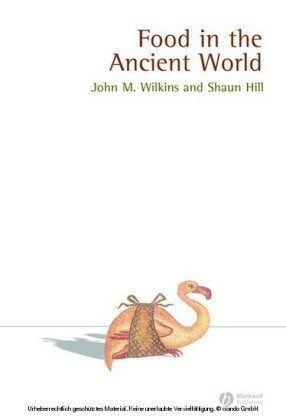 - Provides an up-to-date overview of the study of food in the ancient world - Addresses all aspects of food production, distribution, preparation, and consumption during antiquity - Features original scholarship from some of the most influential North American and European specialists in Classical history, ancient history, and archaeology - Covers a wide geographical range from Britain to ancient Asia, including Egypt and Mesopotamia, Asia Minor, regions surrounding the Black Sea, and China - Considers the relationships of food in relation to ancient diet, nutrition, philosophy, gender, class, religion, and more John Wilkins is Professor of Greek Culture at the University of Exeter. His books include Food in Antiquity (1995), Food in the Ancient World (Wiley-Blackwell 2006) and Galien: Sur les facultés des aliments (2013). Robin Nadeau is Assistant Professor of Classical Studies at Thorneloe University College (Laurentian University), Canada, and an Honorary University Fellow at the University of Exeter, UK. He is the author of Les manières de table dans le monde gréco-romain (2010). A Companion to Food in the Ancient World presents a comprehensive overview of the cultural aspects relating to the production, preparation, and consumption of food and drink in antiquity. 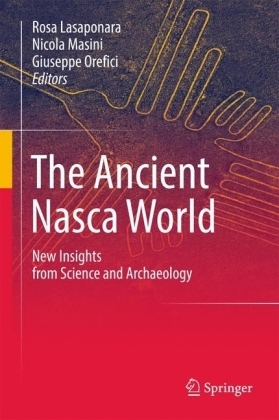 - Provides an up-to-date overview of the study of food in the ancient world - Addresses all aspects of food production, distribution, preparation, and consumption during antiquity - Features original scholarship from some of the most influential North American and European specialists in Classical history, ancient history, and archaeology - Covers a wide geographical range from Britain to ancient Asia, including Egypt and Mesopotamia, Asia Minor, regions surrounding the Black Sea, and China - Considers the relationships of food in relation to ancient diet, nutrition, philosophy, gender, class, religion, and more John Wilkins is Professor of Greek Culture at the University of Exeter. His books include Food in Antiquity (1995), Food in the Ancient World (Wiley-Blackwell 2006) and Galien: Sur les facultés des aliments (2013). Robin Nadeau is Assistant Professor of Classical Studies at Thorneloe University College (Laurentian University), Canada, and an Honorary University Fellow at the University of Exeter, UK. He is the author of Les manières de table dans le monde gréco-romain (2010). Bradley A. Ault is Associate Professor of Classics at the University of Buffalo. His publications include The Houses: The Organization and Use of Domestic Space . Excavations at Ancient Halieis, 2 (Bloomington, IN 2005), and, co-edited with L.C. Nevett, Ancient Greek Houses and Households. Chronological, Regional, and Social Diversity (Philadelphia, PA 2005). Thibaut Boulay is a lecturer at the Université François-Rabelais at Tours, a member of the Food team attached to the European Institute of History of Food, and a wine producer. He wrote his thesis on Greek cities at war in Asia Minor in the Hellenistic period, and is now working on the vine and wine in the Greek world from the Archaic period to the Byzantine. David Braund is Professor at the Department of Classics and Ancient History at the University of Exeter. Béatrice Caseau is a lecturer in Byzantine history at University Paris IV Paris-Sorbonne. Sean Corner is Associate Professor in Greek History at McMaster University (Hamilton, Canada). His research concerns the political culture and society of Archaic and Classical Greece. He has published a number of articles exploring the symposium and its relationship to the polis , and is currently completing a book on the subject. Robert I. Curtis is Professor Emeritus at the Department of Classics, University of Georgia. He is the author of Garum and Salsamenta: Production and Commerce in Materia Medica (Leiden 1991) and Ancient Food Technology (Leiden 2001). Christophe Chandezon is Professor of Ancient History at the University of Montpellier (France). He works on Greek agrarian economy, especially on cattle and animal husbandry. He is interested in various aspects of relations between men and domestic animals in ancient Greece. He is the author of L'élevage en Grèce (fin Ve-fin Ier s. a.C.). L'apport des sources épigraphiques (Bordeaux 2003). Andrew Dalby is the author of many books on food in ancient cultures - Siren Feasts: a History of Food and Gastronomy in Greece (1996); Dangerous Tastes. The Story of Spices (2000); Empires of Pleasures. 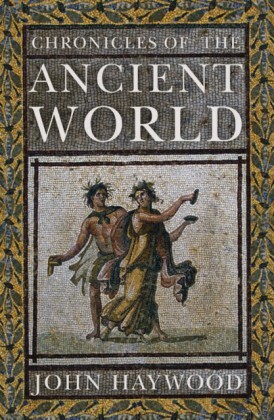 Luxury and Indulgence in the Roman World (2000); Food in the Ancient World. From A to Z (2003) - and the translator of Geopontika (2011). John F. Donahue is Associate Professor and Chair in the Department of Classical Studies at The College of William and Mary in Virginia. He is author of The Roman Community at Table during the Principate (Ann Arbor 2004) and co-editor of Roman Dining (2005, with B. Gold). His volume Food and Drink in Greece and Rome: a Sourcebook , is forthcoming from Continuum Press. Florence Dupont is Professor of Latin and Cultural Roman Anthropology at the University Paris-Diderot. She is an associate member of ANHIMA (Paris) and Program Director at the Collège International de Philosophie. She has published many books such as L'invention de la littérature (La Découverte 1994; in English at John Hopkins University Press 1999) and, with T. Eloi, L'érotisme masculin à Rome (Belin 2001). 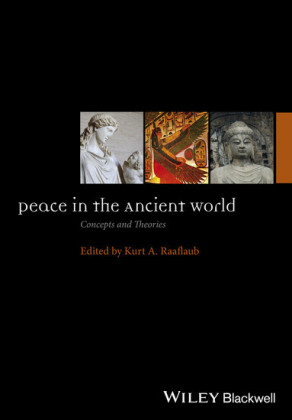 Paul Erdkamp is Professor of Ancient History in the History Department at the Flemish Free University of Brussels. He is the author of Hunger and the Sword. Warfare and Food Supply in Roman Republican Wars (1998) and The Grain Market in the Roman Empire (2005), and editor of A Companion to the Roman Army (2007), A Cultural History of Food. Vol. 1. Antiquity (2011) and The Cambridge Companion to Ancient Rome (2012).